Q&A with Louise: I have multiple sclerosis and severely reduced manual dexterity – can I become a professional proofreader? Thanks so much for your question, Rachel. So the good news is that because you can use a keyboard and mouse, and you therefore prefer to work onscreen, professional proofreading is certainly a viable option for you (assuming your spelling, grammar, and punctuation are up to scratch, and you're ready to market your business effectively). Furthermore, there are industry-recognized training courses and resources that will support your onscreen learning. One thing we need to look at is how different client types’ expectations of what proofreading entails present challenges for you. It’s important to me that you’re forewarned about this so that you can target your clients appropriately, and communicate your service offering in a way that makes it clear what you will and won’t do. I’ll tackle that issue first and then move on to the training options available. So, you’ve told me that your MS affects your manual dexterity, but my first thought was whether it also leads to fatigue. You didn’t mention this in your email, but I think it’s worth discussing for reasons that I hope will become clear. In my first decade of proofreading practice, almost all of my clients were mainstream publishers. 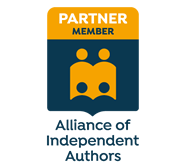 Now I work exclusively with self-publishers (a few businesses but primarily writers of fiction). What’s clear from my experience is that the expectations of what has to be done and how it has to be done often differ depending on client type. Furthermore, how much will be done by the proofreader is often (though not always) quite different. When working for traditional publishers, a proofreader is usually annotating designed page proofs. These are the pages (either paper or digital) that are almost identical to what readers would see if they pulled a book off the shelf. It’s a quality-control check of a book that’s been through developmental-, line- and copy-editing. The author has reviewed the files at each stage. Once the team is happy that the book’s ready to be laid out, an interior designer or typesetter will format the book to professional, industry-recognized standards. The proofreader’s job is to find anything missed during an extensive copy-edit, that no errors have been introduced at design stage, and that the various elements of the book are rendered consistently, correctly, and according to the design brief. In this case, the proofreader is looking at more than just spelling, punctuation and grammar. She’s also spotting problems with page numbering, chapter headings, line spacing, paragraph indentation, running heads, image captions, table and figure numbering, widows and orphans, page depth, prelims and end matter, and more. In my experience, because most of the problems in the text have already been attended to during previous rounds of editing, there might be only a few changes that warrant querying or marking up on each page. Of course, there are always exceptions to the rule, but, on the whole, most of a proofreader’s time is spent carefully reading and checking rather than marking up. That’s important for you because while your hand movement is somewhat impaired, your vision isn’t. And because you wouldn’t have to make thousands of changes, the strain on your hands wouldn’t be excessive or challenging. Outside of the mainstream publishing industry, things become a little more tangled. The role of the proofreader is not nearly so well defined. It’s not unusual for clients to ask for a service they call ‘proofreading’ but that a traditional publisher would call ‘copy-editing or even ‘line editing’. Here the raw text is amended (or suggested recasts to the text are made using Word’s commenting tool). Furthermore, it’s not unusual for the so-called proofreader to be the first professional to work on the text. And that means that the changes made might well run into the thousands. We’re not talking about a few amendments on each page, but hundreds per chapter, perhaps even per several pages. Of course, it does vary, but every change, every query, requires the use of one’s hands. So you need to be aware of the potential impact of this kind of work on your health, and think carefully about how it will affect your hands and your fatigue levels. I’m not saying that working for non-publishers isn’t an option for you. Rather, you’ll need to take your speed and fatigue levels into account and factor them into the time you assign to complete projects. If you're working in Word, I suspect that =2K–10K-word business documents, Master’s dissertations, journal articles, short stories, brochures and newsletters won't present you with the same challenges as book-length work of 80K–100K words will. Because the proofreader is usually providing a pre-publication quality-control check on designed page proofs, most publishers like the annotations to take the form of industry-recognized proof-correction marks. In the UK, these are BS 5261C:2005. Any decent professional training course will teach you how to use these appropriately. Traditionally, these annotations were made on paper but publishers are increasingly providing PDF proofs. This affords you an opportunity because you can use a keyboard and mouse to annotate the page proofs in a way that mirrors a paper markup. There are a few options, but many proofreaders use a combination of a PDF editor’s (e.g. Adobe Reader DC, Acrobat Pro, or PDF-XChange) onboard comment and markup tools and digital proofreading symbols (custom stamps). I supply free files of stamps that proofreaders can download and install in the stamp palettes of their PDF editors. These stamps conform to BS 5261C:2005. Because many non-publishers supply Word files, you’ll be working directly in Word and using Track Changes. You’ll also be able to take advantage of several macro suites and find/replace strings that will improve your efficiency and reduce the strain on your wrists and fingers. That’s good news for all of us – with or without MS or other manual-dexterity issues – in terms of time, quality and consistency. So, all in all, it’s worth your taking the time to think about the types of clients you’ll work for, how many changes you might be required to make, how those client types will expect you to mark up, what length the projects will be, how long it will take you to complete the different project types, and how all of those things fit in with your specific health condition. My two recommended online proofreading training providers in the UK are the Society for Editors and Proofreaders and The Publishing Training Centre. The PTC offers a grammar course, and its flagship Basic Proofreading course. Before you sign up, I’d recommend you have a conversation with either or both organizations in order to assure yourself that the course materials are usable in a way that suits your needs. Additionally, there are numerous free online tutorials and screencasts on how to use Word’s Track Changes, so Google will be your friend here. Search for one that matches your own version of Word. The most important issue for any professional proofreader is understanding first what to change, and making sure that she and the client are on the same page, figuratively speaking, about what degree of intervention is expected and how it will be rendered. My favourite punctuation guide is R.L. Trask’s Penguin Guide to Punctuation – straight to the point, lots of easy-to-understand examples, logically organized, and short! If you can manage print, there’s a paperback on Amazon. If you need an online version, try this guide by the same author, and available free online via the University of Sussex: Guide to Punctuation. New Hart’s Rules online: If you’re a UK library member, you can access the premium version of Oxford Dictionaries, which includes NHR and a number of other excellent online grammar and style resources. I like it because it’s easier to search than the paper version, but you’ll benefit from the fact that you can access its content using a keyboard and mouse. You'll need your library card number. The Chicago Manual of Style: There’s a searchable online version of this too. Great for all the same reasons as NHR! Jack Lyon’s Wildcard Cookbook for Microsoft Word is brilliant for helping the complete novice learn how to use wildcards to save time when editing/proofreading Word docs. It’s a small book, but, again, if the print version’s going to impede access, then use Google Search. Try, for example, Graham Mayor’s Find and Replace using Wildcards. Check out the myriad macros on Jack’s The Editorium, too. PerfectIt is a simply gorgeous Word add-in that, in my opinion, is a must-have for any professional editor or proofreader working in Word. There are lots of tutorials on the developer’s website. Rich Adin’s EditTools is also popular with non-fiction Word editors and proofreaders. ​And let’s not forget the mountain of macros available via Paul Beverley – do check these out; they’re all free! Finally, for a tiny but excellent summary of BS 5261C:2005 proof-correction marks, visit the SfEP website. There are freebies online but they’re not always up to date. This is still, for me, the best and cheapest reference guide to the marks. It comes as a sturdy piece of folded card, so I’m hoping it won’t be a challenge for your hands. I hope this helps you move forward, Rachel, and wish you all the very best in your search for a career that will work for you alongside your MS rather than in opposition to it. If you're starting out on your journey as a professional proofreader and you're marking up PDF proofs, this one's for you. ​There was a time when if a publisher commissioned me for a proofreading project I could expect a large, heavy parcel of paper to turn up in the mailbox. The parcel would contain at least the final page proofs (see Not all proofreading is the same: Part I – Working with page proofs). If I was required to proofread against copy, the parcel would also include the galley proofs (a printed copy of the pages of raw text supplied by the author on which the copy-editor had marked initial corrections). Paper proofreading is an expensive business before the publisher has even paid the editorial freelancer’s invoice. And it’s a double whammy – the client has to pay for the proofs (and possibly the galleys) to be delivered to the proofreader, and it has to bear the costs of the return postage. I’ve worked on large academic books in the past that incurred postage and packaging costs of over £70 per proofreading project. And let’s not talk about the cost of paper and ink. It’s not surprising, then, that some publishers and project-management agencies have embraced cost-effective solutions. PDF markup has proved to be an effective alternative. Digital delivery costs nothing as long as the client and proofreader already have internet access. It’s not just good news for the client – the proofreader benefits, too. I live in rural Norfolk and have to drive to my nearest post office. That’s time that I can’t bill for, not to mention the wear and tear on my car (though HM Revenue & Customs does have a mileage allowance). Even so, I have better things to do. Visits to the post office aside, many proofreaders have found PDF proofreading to be a more efficient task than paper-based work. For those of us working for publishers on a fixed-fee basis per project, this means a better hourly rate. Given that some publishers haven’t increased their freelance rates for many years (or have done so but only minimally), such efficiencies can mean the difference for the proofreader between continuing the working relationship and waving goodbye to the client. Stamps (digital proofreading marks) are another option. See The Proofreader’s Corner: Using the Stamping Tool for PDF Proofreading Mark-up, An American Editor, September 2015, for an overview of the subject. The Working Onscreen archive on the Parlour has other related content that may be of interest to new entrants to the field. Platforms include (but are not limited to): Futureproofs (client pays for use of platform), PDF-XChange (considerably cheaper and trusted alternative to Acrobat Pro with excellent functionality), Acrobat Professional (well-known and trusted but expensive) and Adobe Reader (free, and increasingly user-friendly. Latest version is DC). Onscreen proofreading can save the proofreader and the client time and money, but there are a number of pre-project steps that should be taken to ensure that the final outcome is a happy experience for all parties. Making assumptions based on your own preferences, or your colleagues’ experiences, could lead to readability and compatibility problems. Ask your client what their preferences are rather than making assumptions. Be prepared to be flexible. Some publishers have streamlined their production processes and have a strict set of guidelines concerning which annotation tools should be used for digital proofreading. Some clients will be happy for you to use digital stamps based on publishing-industry-recognized markup symbols. Others might insist on sticking to a particular PDF editor’s onboard comment-and-markup tools. Yet others may expect a mixture of both. Some may even want you to actually edit, rather than just annotate, the PDF (though this is very risky as it could interfere drastically with the layout of professionally typeset page proofs). Some publishers are experimenting with Futureproofs (which has its own onboard markup system – for a review, see my recent article Digital proofreading using Futureproofs, Parlour, November 2015). I merrily used the onboard commenting tool for a Spanish business client for two years, assuming wrongly that she wouldn't have a clue what the British Standards Institution proof-correction symbols were. She then surprised me by asking whether I knew how to use the “more efficient standard proofreading markup language”. I was happy to oblige, using stamps, because it was quicker for me, but I’d wasted precious time for two years because I’d made a flawed assumption. Once you've agreed with your client on how you will mark up the PDF, do a small test to check that both of you are seeing the same annotations and that the markup “sticks” during the delivery process. For example, I wanted to use the stamping tool in PDF-XChange on a recent project with a new client. We agreed in principle that this was acceptable. I extracted one page from the PDF page proofs and annotated it using several different stamps, the onboard commenting tool and the onboard strike-through, polygon and highlighting tools. I then saved the page and opened it up in my recently downloaded version of Adobe Reader DC. All looked well. I then compiled a list of all the test changes I’d made (briefly describing the actions and the line/paragraph where they occurred: for example, highlight [word] on line 2, paragraph 2; comment at line 4, paragraph 2; delete stamp in margin and strike-through [word] in text at line, 9, paragraph 3). I emailed the list and the marked-up PDF page to my client. He confirmed that all the markup appeared as it should on the software he was using. I then felt confident to continue the proofread as planned. Some marked-up PDFs can be huge. A client once sent me a PDF of 2,329 KB. By the time I'd stamped it, it was 25,395 KB (I zipped it down to 23,646 KB). If your email provider won’t handle large files, you will need to agree an alternative delivery system with your client. Examples could include setting up a shared file in Dropbox, uploading directly to the client’s ftp site or using the likes of FileZilla, or transferring via an internet-based service such as WeTransfer. Again, don’t assume that what suits you will suit your client. One of my project managers was happy in principle to use Dropbox (which I have) but then found out via her IT department that she wasn’t allowed to download the software to her PC. We had to work out an alternative. Article: Roundup: PDF Proofreading Stamps (quick-access links) (August 2012, Parlour). This includes a link to my installation instructions; for PDF-XChange users, there’s a video tutorial as well as written instructions. Course: Digital Proofreading (The Publishing Training Centre. Course director: Anne Waddingham). Course: In June and July 2015, Adrienne Montgomerie ran a webinar on “Editing on PDF” via the Editorial Bootcamp. You can still buy the five video-recorded sessions and the companion handouts and exercises here. Course: In the UK, the SfEP and The Publishing Training Centre, to give just two examples, include onscreen markup as part of their broader distance-learning proofreading training. Resource hub: Editing Tools section of Katharine O’Moore-Klopf’s Copyeditors’ Knowledge Base: Search using the key words “PDF Editing Stamps”. This will bring up a number of useful resources. Resource hub: The Working Onscreen archive (Parlour) provides links to, and articles about, digital work flows more broadly. Stamps: If you want to use the BS 5261C:2005 proof-correction marks to annotate a PDF, visit Roundup: PDF Proofreading Stamps (quick-access links). This provides the access links to a full set of downloadable PDF proofreading stamps in black, blue, and red, as well as the installation instructions. Stamps: US stamps files are available via the Copyediting-L site, under the Resources tab. Scroll down to “Diana Stirling’s (2008) editing marks for PDF documents (Zip documents)”. Louise Harnby is a fiction copyeditor and proofreader. She curates The Parlour and is the author of several books on business planning and marketing for editors and proofreaders. In this article, I show you how to create your own digital proofreading stamps for PDF proofreading and editing. I’m based in the UK so I’ll be referring to the British Standards Institution’s (BSI) BS 5261C:2005 'Marks for Copy Preparation and Proof Correction' throughout this article (readers can buy a hard-copy list of these marks from the Society for Editors and Proofreaders). You might be used to seeing different symbols to indicate the same instructions. That’s because, depending on where you live, different standards may apply. If you want to use the BS 5261C:2005 proof-correction marks to annotate a PDF, visit Roundup: PDF Proofreading Stamps (quick-access links). This provides the access links to a full set of downloadable PDF proofreading stamps in black, blue, and red, as well as the installation instructions. US stamps files are available via the Copyediting-L site, under the Resources tab. Scroll down to 'Diana Stirling’s (2008) editing marks for PDF documents (Zip documents)'. Finally, search the Editing Tools section of Katharine O’Moore-Klopf’s Copyeditors’ Knowledge Base using the key words 'PDF Editing Stamps'. This will bring up a number of other useful resources. The existing digital resources might include only the standard symbols developed by the original issuer (BSI, CMOS, CTB, etc.). However, I’ve sometimes found that I’m repeatedly making a particular amendment that isn’t covered by these standards. ​For instance, a nonnative-English-speaking author may use the word 'is' when the author means 'are' repeatedly in a file. Rather than annotating the PDF using the typewriter tool for the text, and using the Replace symbol (slash mark) for each correction, it could be more efficient to create a new stamp that incorporates the text and slash mark. For the sake of efficiency, you might wish to modify two existing standard digital marks. For example, I often need to change a hyphen to an en rule, and I have to stamp two symbols in the margin – the En-rule mark followed by the Replace mark. I decided to create a single symbol that incorporates both of these marks (this symbol is included in the digital stamps files that I make freely available here on my blog). When we modify standard stamps in this way, we save time – every second we save stamping only one symbol rather than two adds up to significant increases in productivity. You can using a free snipping tool to copy a mark that you’ve drawn, typed, or found online. If I want to create a new stamp – for example, the 'change is to are' instruction mentioned above – I can use my PDF editor’s comment-and-markup tools to type the word 'are' and stamp a Replace symbol after it. Then I simply click on my snipping tool, select 'New', and drag the cursor over the marks I’ve made. I then save this as a PNG, GIF, or JPEG. The image is now available for upload into my PDF Editor’s stamps palette. Where your snipping tool is located will depend on which version of Windows you’re using. You can use a DTP program such as Microsoft Publisher, Adobe InDesign, and QuarkXPress, or a graphics program like CorelDraw and Adobe Illustrator. I use MS Publisher because it’s included in my MS Office bundle. I’ve also found it quite easy to use – this is partly because it’s entry-level DTP software and partly because it’s an MS product so the functionality is quite similar to that of MS Word. Once you’ve drawn your new symbol in your DTP program, you need to save the document as a PDF. This can usually be done very simply, using the 'Save as' function. The image will then be ready for upload into your PDF editor’s stamps palette. The finish of the stamp is more professional – the images are much sharper than the snipped versions. You can draw multiple stamps in a single DTP document – just make sure that each image is drawn on a new page. Then you have to save one document as a PDF from which you’ll upload your new stamps. If you have used DTP software and saved your stamps in PDF format, you may need to save into a specific folder. The installation process is a little more complicated and will depend on the PDF editor you are using. If you are using PDF-XChange, Adobe Acrobat Professional, or Adobe Reader, carefully read the installation instructions I’ve provided on The Parlour. Roundup: PDF proofreading stamps (quick-access links). This includes a link to my installation instructions; for PDF-XChange users, there’s a video tutorial as well as written instructions. In this article, I provide an overview of PDF proofreading mark-up using the stamping tool. When I first started my business, I was strictly a proofreader and most of my work was on paper. Back in 2006, I was working primarily for publishers. These clients often wanted me to proofread against copy rather than blind. That meant that I was receiving large packages through the mail containing not only the final page proofs but also the galley proofs. Postage costs were huge, though my clients bore the cost; but I still had to factor in the time I spent either waiting for couriers or hopping into my car and driving to the post office so that I could return the galleys and marked-up proofs. These days, things are different. Many publishers have embraced digital mark-up. I’m still required to work on final page proofs, and the clients still like me to annotate using UK-industry-standard mark-up language, but I can do it all onscreen – using my PDF editor’s commenting and mark-up tools – and the stamping tool. This saves the publisher money by eliminating postage costs and removing the need to print hundreds of pages of hard copy. It also saves me time, and, for those of us in the business of editorial freelancing, time is money. Many editorial professionals have already embraced digital mark-up (either on PDF or in Word). Little of what follows may be news to them. Even though this article is aimed at the novice who is in the process of investigating digital workflows and the tools available to assist them, experienced professionals, and professionals seeking to expand into proofreading, are likely to find the information valuable. First, I’m based in the UK. If you’re from elsewhere, you might not recognize some of the symbols shown in this article. That’s not because the symbols are wrong, but because there are differences in mark-up language between countries. The British Standards Institution has issued the BS 5261C:2005 ‘Marks for Copy Preparation and Proof Correction’, (readers can buy a hard-copy list of these marks from the Society for Editors and Proofreaders) and that’s what my publisher clients expect to see. Your clients might have different expectations. Second, stamping tools can be used in a number of different PDF editors. My own preference is PDF-XChange (from Tracker Software). Some of my colleagues prefer Tracker’s PDF Editor. Others, still, use Adobe Acrobat Professional or Adobe Reader. ​If you’re not sure what suits you best, take advantage of the various free trials on offer. For demonstration purposes, some of the screenshots in this essay are based on working in PDF-XChange. However, the underlying principles are the same. Proofreading stamps are simply digital versions of the symbols you would draw by hand on a paper proof. Below is a screenshot of some of the BS 5261C:2005 symbols that UK proofreaders use. The screenshot above shows a partial view of the PDF-XChange stamps palette. I’ve chosen to number the symbols, rather than naming them, because this allows me to change the order easily (see Onscreen proofreading tips: Reorganizing your stamps palette in PDF-XChange). ​The answer is not actually as straightforward as one might hope! As far as I’m aware, my Irish and Australian colleagues find the BS 5261C:2005 symbols acceptable (feel free to correct me if I’m mistaken); in the UK, these BSI marks are absolutely considered standard. She goes on to illustrate the differences between the Canadian Translation Bureau’s Canadian Style guide marks and the marks preferred by the Chicago Manual of Style. The best advice I can give to novices is that they check with their national editorial society and their clients before embarking on this type of work. Using stamps isn’t the only way to mark up a PDF, of course. Some of my colleagues’ clients prefer sole use of the commenting and mark-up tools embedded in their PDF editors. When I use the stamping tool, it’s because my client wants to see all the suggested corrections in the page-proof margin (just like with a hard-copy proofread) rather than in pop-ups (see the example later in this article under ‘What does a stamped PDF proof look like?’). Ask your client what they prefer. If you want to use the BS 5261C:2005 proof-correction marks to annotate a PDF, you can find everything you need on this site in the Stamps archive. In particular, Roundup: PDF Proofreading Stamps (quick-access links) provides the access links to a full set of downloadable PDF proofreading stamps and the installation instructions. U.S. stamps files are available via the Copyediting-L site, under the Resources tab. Scroll down to ‘Diana Stirling’s (2008) editing marks for PDF documents (Zip documents)’. Finally, search the Editing Tools section of Katharine O’Moore-Klopf’s Copyeditors’ Knowledge Base using the key words ‘PDF Editing Stamps.’ This will bring up a number of useful resources that you might prefer to try. If you’re already familiar with standard proof-correction marks, and have used them extensively on paper-based projects, you might well be able to teach yourself to mark up onscreen with stamps. That’s how I went about building my digital mark-up skillset. However, if you’re a novice or lack confidence, you might prefer more formal training that introduces you to using proof-correction language correctly and clearly (whether on paper or digitally). In the UK, the SfEP and The Publishing Training Centre, to give just two examples, include onscreen mark-up as part of their distance-learning proofreading training. Adrienne Montgomerie runs a webinar called Editing PDF Files via Copyediting. You can buy the four-step session here. There is also some good, and free, online guidance on the Right Angels and Polo Bears blog under the Acrobat PDF archive. See also the Stamps and Working Onscreen archives on the Parlour. A PDF that’s been marked up using proof-correction stamps looks just like its paper cousin – the only difference is that it’s in a file on your computer rather than in a pile on your desk. ​As you can see from the sample below, you can, of course, use the onboard tools. Here, I’ve added in a query for the author (using the Commenting function); if, however, my client had wanted all annotation to be viewable in the margins, I’d have created a separate query sheet to communicate my concern with the highlighted spelling issue. Proof-correction marks are not a thing of the past — far from it. Whether you are working on paper or onscreen, being able to offer this method of annotating a proof is a valuable business asset. It gives both you and your clients choices. There will be times when a client will prefer you to work on paper, or directly in Word. And there will be times when you work with clients who don’t know the meaning of proof-correction symbols, and will ask you instead to use a PDF editor’s onboard commenting and markup tools. ​However, if you are going to be working with clients who want a traditional margin-based proofreading service (where all your annotations are made on the typeset page) but in a digital format, the ability to mark up using proofreading stamps will serve you well. If you plan to download my proofreading stamps for onscreen editing within PDF-XChange, using Windows 10, my colleague Nicholas Fisher has kindly taken the time to confirm that the installation procedure for Windows 10 is exactly as per Windows 8, 7 and Vista. Installation Instructions for Proofreading Stamps. Scroll down to the text below the image of the video link and read the section entitled Can't find the AppData folder?. In this post I show you how to reorganize the display of your digital proofreading stamps in PDF-XChange so you can improve the efficiency with which you work. The free digital stamps files I’ve provided here on the Parlour contain over 70 individual images, all based on the British Standards Institution’s “Marks for copy preparation and proof correction” (BS 5261C:2005). ​The issue for many newbies is that the palette can appear cumbersome – we all work in different ways, and the symbols that we most often use may not be positioned in the most convenient place for our particular needs. Decreasing the size of the palette is one option, and allows placement on the screen that won’t interfere with the text. However, this requires using the scroll bar on the palette in order to access the stamps located further down the palette, reducing efficiency further because not all the stamps are on display. When I created the original stamps files, I ordered them according to what my specific needs were at that time. But my preferences have changed since 2012, and it’s not unusual for my current preferences to change on a job-by-job or client-by-client basis. The solution is to move the frequently used symbol to the top of the palette for this particular client work. This is most simply done by renaming the stamp in a way that forces it into the required position. My preference is to name most of my stamps with numbers rather than descriptive names (see image above and compare the often-used Delete symbol (named 1) with the rarely used Change to small caps mark (named 9.83). The beauty of renaming with numbers is that you have the freedom to move any stamp anywhere at any time. You can change the positions as and when you wish. For demonstration purposes, I’ve chosen to move the right-hand margin Turn over symbol to the top of the palette and place it next to the Delete symbol. 1) Left-click on the symbol you want to move. The area below the mark, where the symbol's name is located, will appear with an orange tint. 2) Move your mouse to the top of the palette and left-click on the “Rename” tab. A window will appear, housing the stamp’s current name. 3) Type in a new numbered name that will force the stamp into the numerically ordered position you desire. In this case, I want the Turn over symbol to appear next to the Delete symbol. Delete is named “1”; the stamp to the left is named “0.52”. Choosing any number between 0.52 and 1 for Turn over will therefore ensure preferred placement. I decide to rename Turn over as “0.99”. I type in the number and select “OK”. 4) Note that the stamp has been renamed but it still hasn’t moved into its new position. … or switch to a different Collection and then move back into the original Collection in which you renamed your stamp. The Collections can be found on the left-hand sidebar of the XChange palette, and you can move this sidebar in and out of view by clicking on and dragging the thick grey line, as highlighted below. 5) When you reopen the palette and click on the appropriate Collection, you’ll see your renamed stamp positioned exactly where you want it. To move the Collections sidebar out of view, simply click and drag on the grey line. This will provide more space in which to display all your proofreading symbols. If renaming stamps seems like a lot of effort for little reward, remember that marginal gains count for a lot with editorial work. This is why tools such as macros, shortcuts and find/replace are useful. The same applies to creating an efficient stamps palette. Every second you spend scrolling to find the stamp you want adds up. Seconds become minutes, and minutes become hours. If you’re being paid per hour, and your client doesn’t have a top-line budget, it may not matter how long it takes you to do a job, nor that you’re working inefficiently. However, many clients do have a top line, and many editorial professionals are working for fixed fees. Efficiency matters. Furthermore, some of us need to attend to the way in which we use our hands, wrists and arms repetitively when working onscreen. Organizing a stamps palette in a way that is memorable to you, and enables the fastest possible access, speeds up the onscreen markup process and reduces physical strain. If you haven’t got round to renaming your stamps numerically, try it and see whether it makes a difference. I’m delighted to welcome Will Travaglini from Tracker Software Products, developers and creators of the rather marvellous PDF-XChange. Will’s agreed to talk to us about how Tracker’s product range can help editorial freelancers with their PDF-related business needs. Louise: First of all, Will, can you tell us a little bit about PDF-XChange – what it is and how we can use it? I know that this isn’t Tracker Software’s only product but it’s the one that most proofreaders and copy-editors working with PDFs might initially be most interested in, so I’d like to start there. Louise: Anyone who’s bought a new computer lately might well be working with Windows 8. Is your software compatible? Will: Definitely. I’m running Windows 8 on three separate machines (all with very different hardware) and everything works as expected for myself. I also have two of colleagues that are running Windows 8 and it works fine for them – we have been given our official Windows 8 compatibility certification from Microsoft, so there should be no issues. Louise: So, I imagine that Adobe Acrobat is your primary competitor. Let’s talk about the freebies on offer from both Adobe and Tracker Products. Is there anything the free version of XChange can’t do that Acrobat Reader can? Are there any other differences? Will: I believe that the key differences are that we offer more extensive mark-up capabilities, such as a greater flexibility with the customization of the annotations themselves, a more extensive stamp creation ability, etc. Adobe Reader isn’t able to save data that has been entered into a fillable form, which is something that Viewer is capable of. We also offer a free OCR (Optical Character Recognition) module that comes with the Viewer and that is entirely free to use, which I don’t believe that Adobe Reader has. Lastly, if you have a license for the Viewer, then PDF-XChange Lite (conversion printer) also comes free with that license, so you would be able to install a licensed version of one of our print drivers. Louise: What are the main differences between the free PDF-Change Viewer, the Standard version and the PRO version? Will: Well, the Viewer is a PDF Reader/PDF Annotation tool. It allows for PDFs to be both viewed and read, or to be annotated with sticky notes (digital Post-it notes), textboxes, stamps, etc. You can also use it to create PDFs from scratch, rather than, say, converting from a Word document to a PDF. You can also add new pages to existing PDFs and all sorts of other different things. PDF-XChange Standard, on the other hand, is a virtual printer that acts like a real, physical printer but, instead of printing to paper, it will "print" to PDF. This can be done from virtually any Windows application that can print to a printer. Standard also comes with our Office add-in, which puts a toolbar plugin in any installed Microsoft Office applications and, using that add-in to convert to PDF, it will, in most cases, offer a far better conversion than the regular File --> Print --> PDF-XChange Printer 2012 method. It also installs a plugin for Internet Explorer because, without getting too technical here, web pages can sometimes be difficult to convert using the Windows printing system; the IE plugin allows for a far more consistent conversion that the File --> Print method. The last thing to note about Standard is that it also comes with a program called Office2PDF5, which allows users to convert multiple MS Office documents (i.e. 25 Word documents) into PDF at once or using a watched folder that will automatically convert any supported file placed in the watched folder to PDF. PDF-XChange PRO 2012 is our three bestselling PDF-related products bundled into one installer and license. Installing this will give you the Viewer, PDF-XChange Standard (the printer that I mentioned) and PDF-Tools, which is a utility for the batch processing of large PDF files and/or large quantities of PDF documents (for example, if you to need to merge 60 PDF files into one, or you need to place the same watermark on 30 different PDF files, etc.). Louise: And, related to the second question, is there anything the Standard and PRO versions of XChange can’t do that Acrobat’s equivalents can? It’s an important question because your product is significantly cheaper. Many people reading this run small businesses, so it’s not just about the money. We need excellent functionality in order to offer a professional level of service – any return on investment, large or small, needs to deliver value as defined by quality as much as anything else, financial outlay included. Will: The creation of fillable forms is something that can’t be done with our end user products at the moment, but the ability to do this is going to be implemented in the next major version of the Viewer, in the form of a plugin. Also, the next major version of the Viewer will be able to edit the base content of a PDF, which Adobe Professional can do now. This next major version has been renamed PDF-XChange Editor, to reflect its headline functionality. I should mention that a pre-release of the Editor is available to try and the editing functionality is implemented already, though it does require a Viewer, PDF-Tools or PRO bundle license. Louise: PDF-XChange isn’t currently available for Macs. Are there any plans to rectify this and if not, can you advise our readers of a solution? Will: It’s something that’s been talked about but, for the time being, it’s unlikely we will release anything for Apple platforms. There are a multitude of reasons for this but, largely, it’s because we would have to re-write the program from the ground up and in an entirely different programming language, so it would likely take years to accomplish. Should users want to use our software on Mac, we have had many reports of great success running our software through a PC emulator, such as CrossOver or Wine for MAC. Users should be aware, though, that we cannot support the program when it’s being run through an emulator and, though we don’t anticipate issues, they do have the potential to occur and users purchase a license at their own risk in such circumstances. Louise: If someone already has the free version of XChange Viewer, how much will it cost them to upgrade and how do they register to enable all the Pro features? Will: The Viewer is currently US$37.50, which is, at the moment, about £22.48. It’s important to note that we are in the process of finishing off the PDF-XChange Editor, which is the next major version of the Viewer. Once the Editor has been released for sale, we do intend to increase the price, slightly, to US$43.50, which will reflect the extended functionality/capabilities. When that happens the Viewer will cease to be for sale, though it will still be available as a free download. As for registration of the product - if/when a user has purchased a license, they have two options to get the programs to function in PRO mode. The first, and the one we recommend, would be to uninstall, then re-install and copy/paste the serial key (provided in an email after purchase) into the installer when asked – if you need instructions on how to do this, they are here. Will: (1) This isn’t something that can be done in the Viewer, but can be done in the pre-release of the PDF-XChange Editor. (2) In the Editor, the Edit Content tool automatically invokes the carat tool when a block of content is clicked on; this is also be available in the pre-release of the Editor. Louise: Are there any other Tracker Software tools that you’d like to tell us about? Will: I’m not sure whether any of our other products would be useful for the average proofreader, but we do offer a printer driver called Raster-XChange that, instead of printing to PDF as our other printers do, prints to your choice of one of 15 different Raster image formats (i.e. tiff, jpeg, png, etc.). Louise: Many thanks, Will. This is incredibly useful. And thanks to everyone at Tracker for offering Parlour readers a promotional discount! Screencasting, for those not in the know, is the process of capturing exactly what you’re doing on your computer screen, and it’s often combined with an audio feed. It’s a brilliant and (sometimes) inexpensive way to demonstrate detailed instructions that don’t always translate well using only the written word. I was fortunate that some of my more experienced colleagues, John Espirian, Nick Jones and Adrienne Montgomerie in particular, had lots of useful advice to share, and while I ended up going down a slightly different route in terms of software (by necessity), their guidance set me on the right road and clarified the process for me. For my first screencasting project, I decided to experiment with the instructions that I'd prepared for automatic installation into PDF-XChange. The written instructions have tripped up some new users and I was convinced that a video demo of me installing the stamps might solve the problem. After all, over the past two years I've taken several calls from struggling colleagues and when I've talked them through the installation on the phone, they've succeeded where they’d previously failed. If my voice guiding them could solve the problem, a combined video feed should be even more effective. Since the kit was being used for an activity that wouldn't actually generate any income for me, I needed to be careful about what I spent. I wanted quality but felt it would be foolhardy to invest in expensive commercial equipment and software at this stage. After some investigation I settled for a Logitech headset that cost me £25. It includes a set of comfortable earphones and a mic attached to the headband that clips down into recording position. They are widely available – I picked up mine from a local supermarket. I then downloaded Microsoft’s Expression Encoder 4. This probably isn’t the most sophisticated screencasting software on the market, but I found it user-friendly and excellent for the purposes of making a simple video tutorial. And it’s completely free, though you are limited to making videos of no longer than 15 minutes. But honestly – who wants to listen to me rambling on for any longer than that?! After about ten passes, I came up with something that I was happy to post online. It's here if you want to take a look (or if you're struggling to install my proofreading stamps), and I think the video demonstration is a good complement to the written instructions. It's not perfect, but Adrienne Montgomerie assures me that in this kind of situation, where we're communicating with colleagues and want that personal touch, perfection isn't always necessary. ​As always, we need to consider who our audience is, what their expectations are, and the impact our message will have on our business. If I was creating a promotional video to advertise my business or a testimonial video to complement the written endorsements on my website, perfection would be at the top of my list. Encoding and uploading my screencast to YouTube proved easier than expected. Not surprisingly, I found a video created by TheBenVidz on YouTube that showed me exactly how to do this with Expression Encoder 4. Then I used Weebly's embed-code plug-in to publish the video on my website. This roundup provides a quick-access route to all the PDF proofreading marks files posted on the Parlour. ​I should have done this ages ago so apologies to anyone who's had to spend unnecessary time navigating their way around the Stamps archive to see what's available. I'll keep this updated as new files are added so that there's always one central resource with all the necessary links. IMPORTANT: For detailed installation instructions, see my article Installation Instructions for Proofreading Stamps. Please follow these instructions to the letter BEFORE contacting me for support. If you wish to create your own stamps, or you want to see samples of what a marked-up PDF looks like, see my article PDF Editing – Making the Most of the Stamps Tool. For some great PDF mark-up tutorials and tips (using Acrobat), take a look the Acrobat PDF archive on the Right Angels and Polo Bears blog curated by Adrienne Montgomerie. You can find more information about onscreen work in the archives here on The Parlour: Stamps archive and Onscreen Work archive. If you’re proofreading onscreen, either with my proofreading stamps or your software’s comment and mark-up tools, it’s worth spending a few minutes to set up the various onscreen elements in an ergonomic fashion as well as familiarizing yourself with basic keyboard shortcuts. Some aspects of onscreen work are speedier – searching for and implementing global changes, for example – while moving between the various mark-up tools is not as quick as using a hand and pen. There are, however, things you can do to compensate and make your onscreen experience more effective. Shift the most-used elements on your toolbar so that they are near to each other and on the side of the screen with which you operate your mouse. These elements might include the typewriter, mark-up tools, text tools, and stamp and save buttons. Use your mouse to click, hold and drag the elements across the toolbar ribbon. Use stamps of proofreading symbols to complement the comment box and mark-up tools in your PDF editor. You can create your own or use the sets I’ve already developed. They’re available free of charge here. If you’re unfamiliar with these, see PDF Editing: Making the Most of the Stamps Tool. Remember to keep your stamps palette open; it will save you time when selecting each stamp you want to use. In XChange you can minimize the size of the symbols as they appear in the palette (see the highlight in the screenshot to the left). This enables you to see a greater number of stamps while you are working without having to scroll up and down the palette. In Acrobat, the palette is not as user-friendly, so use a second screen to get the best of the display. In XChange, number similar stamps sequentially so that they appear in a logical order. This will make it easier to find the stamp you need, particularly if each palette contains a lot of symbols (If you’ve downloaded my XChange stamps simply change the number-name in order to re-sequence them). The desktop screen is larger, so it’s much more comfortable to work on. I can enlarge the PDF view to 150%, which displays most of the page on the screen while presenting the text in a size that’s easy on the eye. A larger screen means you can expand your stamps palette in a way that will maximize the number of stamps on show without interfering with your PDF page. It’s inconvenient and time-consuming when you want to write a query to the client only to have the comment box open up under another element, which then has to be moved. To avoid this, you can slide elements such as the Search window and Comments List over to the smaller screen so that they are visible and usable at all times, but not taking up the grey space where the comment boxes appear. These are my preferred keyboard shortcuts when working with PDFs. There are many, many more but I like these because all but one can be managed easily with one hand. Alt Tab: this is one of my most-used keyboard short cuts and is especially useful if you only have one screen to work on and need to flit between different programs or files. If you refer back to the same key pages time and again and your client hasn’t already bookmarked these (contents, part titles, chapter first page, bibliography, index etc. ), it’s easy to do it yourself and will save you time. Use Ctrl B to open the bookmark function in Acrobat, PDF-XChange or PDF-XChange Viewer and name your page. If you are constantly using a particular combination of mark-up symbols in a piece of work (e.g. you have to change A to Å many times), you can make your own quickie stamp using a snipping tool. Windows supplies this, but if your operating system doesn’t there are plenty of free alternatives online. Pin it to the task bar at the bottom of your screen to access it quickly. In the case given above, you would use the typewriter to print Å on your PDF, followed by the replace-slash stamp. Use your snipping tool to draw round both marks and save. Then import your new stamp into your palette. Now you only have to make one click, not two, in order to make the margin mark. Do you have any tips to share for more efficient onscreen work, such as favourite keyboard shortcuts or using function keys? Please share them with us in the Comments section below so that we can all improve our onscreen working experience. For those of you who currently use Acrobat, I would strongly suggest you try PDF-XChange Viewer – it’s free and the stamps palette is far more user-friendly. If you’ve already downloaded my stamps, then my apologies that I didn’t come across this information until now – I know how laborious it is to download the stamps one by one. There are still benefits, though – now you can transfer your whole stamps palette to a second PC. ​And should you buy a new computer you won't have to endure the arduous task of downloading the stamps one by one all over again. For quick-access links to all of the PDF proofreading stamps files, including the original full set of BSI symbols, see Roundup: PDF Proofreading Stamps (quick-access links). Check the Stamps archive to see other articles about using stamps with free PDF viewers/readers. Below are my free proofreading stamps files in red, blue and black. ​They conform to British Standard BS 5261-2 (2005). You will not have to resize these stamps – I've designed them to work with the font size that most book files use. Simply upload them into your PDF editor and you’re ready to go! ​Tip: In Acrobat you will have to download each stamp individually. In PDF-XChange (even the free Viewer), the process is semi-automatic - just make sure you download the XChange stamps files below and follow the installation instructions. For installation instructions, see my article Installation Instructions for Proofreading Stamps. For a list of American proofreading stamps, visit KOK Edit’s Copyeditors' Knowledge Base and scroll down to "PDF editing stamps". This looks brilliant! I wish I had had these for my last job. Thanks, these look great! They would have been useful for the job I've just finished. This is an excellent solution. Having followed Louise's clear instructions, these proofreading stamps are ingenious! I am really delighted with this set because they are the perfect size for most of my work without any tweaking. ​Louise Harnby is a fiction line editor, copyeditor and proofreader who specializes in helping self-publishing writers prepare their novels for market. This article contains installation instructions for most versions of Acrobat and PDF-XChange. Scroll down the page to find the set appropriate for the platform you're working with. There's also a video for XChange users and link to the stamps files themselves. NOTE: Rest assured that you don't need advanced technical knowledge to install the stamps. In fact, you don't need any technical knowledge at all! You simply need to be able to follow the instructions as they are given. I've provided a video tutorial for PDF-XChange users. Some of you may find this more user-friendly than the written instructions. Again, please ensure that you follow the instructions step by step (or screen by screen in the case of the video tutorial) before you contact me to report that you are having problems. Much appreciated! One of the main benefits of using PDF-XChange Viewer is that you can import all my stamps in one go. For those of you who'd like to watch a tutorial of the steps outlined below, here's a video demonstration in which I talk you through the process, step by step, while actually downloading a set of stamps onto my own computer. It's in screencast format, so you can follow exactly how I navigate my way through the installation. NB: This is the squeaky-chair edit, a limited-edition version created especially to provide the feel-good factor for editorial freelancers whose home offices benefit from well-oiled swivel-seating arrangements! Download PDF-XChange and install it on your computer. a) Open PDF-XChange, select Tools from the top menu, then Comment And Markup Tools, then Show Stamps Palette. b) Click on 'New ...' to create a New Collection. c) Then click on 'From PDF ...' and use this to copy any PDF you like from anywhere you like in your computer. You should now see a New Collection with that PDF in it. Doing this will have automatically created the folder you will need. In Windows XP this should be: C:\Documents and Settings\<user>\Application Data\Tracker Software\PDF- XChange Viewer\2.0\Stamps. In Windows 10, 8, 7 and Vista it should be: C:\Users\<user>\AppData\Roaming\Tracker Software\PDF-XChange Viewer\2.0\Stamps. Navigate to that folder,* select the copied PDF (it will have a weird number – don't worry) and delete it, leaving the folder empty. a) Open Roundup: PDF Proofreading Stamps (quick-access links). b) Scroll through and click on, and open, the version of the XChange stamps file you want. (Don't worry if you can only see one stamp on the front page. This is as it should be.) Save the downloaded file in the folder you have just created. Close PDF-XChange and re-open it. You should see a full set of stamps available for use in the Stamps Palette. For each separate file you choose (different colour options or additional sets of stamps) you will need to repeat Step 4b. * Can't find the AppData folder? If you can't find the folder, the most likely reason is that the Application Data (or AppData) folder (a hidden folder) is invisible on your computer. To show it in Windows XP, go to Start, Control Panel, Folder Options, View, Show Hidden files and folders. For Windows 7 and Vista, go to the Windows icon in the bottom left-hand corner of your screen and search for 'show hidden files and folders'. Click on this and look down for the Hidden Files and Folders icon. Then check the button labelled 'Show hidden files, folders and drives'. Select OK. Now you should be able to save the XChange files in the correct place, enabling them to appear in the palette. For Windows 8, follow the instructions in this tutorial from bleepingcomputer.com: How to see hidden files in Windows 8. Download the stamps Open Roundup: PDF Proofreading Stamps (quick-access links) to your This PC > Documents folder. Make a note of which file is which colour. Go into Tools > Comment and Markup Tools > Stamp Tool > Stamps Palette. Click on the 'Add New Stamp from File' icon, which looks like an open folder. Click on the folder icon to the right of the 'Name' field and select a stamp folder from your documents folder. Give the stamps a title in ‘New title’ (I think this is where you could select a page at a time and re-name each stamp with numbers). Click the 'Add New' button at bottom right, and give the new collection a name (e.g. 'Red Proofreading Stamps'). Your stamps should install. Repeat from Step 3 for the rest of the collection. Go into Tools > Comment and Markup Tools > Stamps Palette. Click on the folder icon to the right of the 'Name' field and select any PDF from your computer. Click the 'Add New' button at bottom right, and give the new collection a name (e.g. 'Red Proofreading Stamps'). Doing this will have automatically created the folder you will need. In Windows XP this should be: C:\Documents and Settings\<user>\Application Data\Tracker Software\PDFXEditor\3.0\Stamps. In Windows 8, 7 and Vista it should be: C:\Users\<user>\AppData\Roaming\Tracker Software\PDFXEditor\3.0\Stamps. Navigate to that folder; delete the file to leave the folder empty. a) Open Roundup: PDF Proofreading Stamps (quick-access links). b) Scroll through and click on, and open, the version of the XChange stamps file you want. (Don't worry if you can only see one stamp on the front page. This is as it should be.) Save the downloaded file in the folder you have just created. Close Editor and re-open it. You should see a full set of stamps available for use in the Stamps Palette. For each separate file you choose (different colour options or additional sets of stamps) you will need to repeat Step 6b. Select the stamp icon from the Comment and Markup Toolbar (this ribbon should show up at the top of the page) and click on the drop-down menu. Click on the Browse button and select the location of the PDF stamps file (e.g. Red Stamps). Each stamp will appear on a separate page. Use the scroll bar to select the stamp you wish to upload. The first time you do this you’ll have to write in a category (e.g. Red Stamps). When you import a second stamp you can simply select this option. You can also name the stamp if you wish but I didn’t bother, choosing instead to leave the default New Stamp. When you have uploaded all your stamps and are ready to start marking up your document, select Show Stamps Palette from the stamp icon in the ribbon menu and a box will appear. If you have different categories (e.g. Blue Stamps) you can select these from here. Open any PDF (If the stamp icon isn't on display in the toolbar select the Commenting Toolbar by choosing View, Toolbars, Commenting from the menu). Go to the stamp icon on the top ribbon menu and click on the drop-down menu. Click on the Select button and then the Browse button to select the location of the PDF stamps file (e.g. Red Stamps). Each stamp should appear on a separate page. Use the scroll bar to select the stamp you wish to create. The first time you do this you’ll have to type in a category (e.g. Red Stamps). When you import a second stamp you can simply select this option. You can also name the stamp. When you have downloaded all your stamps and are ready to start marking up your document, select the drop-down menu from the stamp icon in the ribbon menu, and the categories you have created will be listed along with the defaults. You can then select the stamp from the category you require. Download the stamps from this website, whichever colours you use, and save somewhere convenient. At this point I recommend making a list on paper of the number of each stamp, and what it is (it varies between colours). This is worth the few minutes it takes, and is invaluable later on in the process. Open the PDF you are proofreading. In the bar across the top, click on Comment, as you would normally do to start marking up, then open Annotations, if it is not already open. Click on the stamp icon (it takes a few seconds for a grey box to open), then click on Custom Stamps and, from the box which pops up next to it, Create Custom Stamps. The Select Image for Custom Stamp window will open with a browse facility. Use that to find the stamps you have saved earlier, starting with whichever colour you are likely to use most. At this stage you will need the paper you have marked all the symbols on: use it to choose which you are most likely to need, and then use the number and the slider on the right-hand side of the box to locate the first symbol you want to install. You need the number because the images in the box are too small to distinguish easily. Click OK.
A new box opens; in the category box, type in the colour, i.e. red stamps/black stamps/blue stamps. I haven’t found any benefit in giving a name to each stamp, so just leave it as New Stamp. Then click OK. The box disappears. Repeat this with any other symbols you are certain to need, and any other colours. After the first one in each category, the category name (red stamps, etc.) appears in a drop-down box to be selected, which saves time. Once you start the proofread, if you want to add a stamp to the PDF, click on the stamp symbol, and the grey box opens as before, but now it will have the categories of stamps you have installed, i.e. red stamps, black stamps, etc. Click on the colour you want to use and another grey box will open with the symbols in it. Click on the symbol you want to use, and it will ‘ghost’ onto the PDF you are proofing. Move it to where you want it and then click, which will attach it to the PDF. That’s it! The last stamp you used can be added to/removed from a favourites list – favourites appear in the first grey box to open, and can be selected from it, which saves some time. At any time during the proofread, if you find you need a stamp you haven’t already installed, repeat steps 3–6, using your paper list to find the appropriate stamp number. To keep the stamps palette open, click on the stamp symbol, and when the grey box opens click on Show Stamps Palette. Click on the Tools tab in the ribbon. Click on the Stamps icon. The Custom Stamps icon will now appear in the ribbon. Select Create from the Custom Stamps drop-down menu. Click on the Browse button to select the location of the PDF stamps file (e.g. Red Stamps). Fill in the Category (e.g. Red stamps). You can re-use this for the second stamp you add. Give the stamp a name (e.g. '1' or 'delete'). Use the Stamps Palette icon in the ribbon to access your symbols (remember to select the relevant category). Here are a few tips to bear in mind when using stamps. Search the Stamps archive for other useful articles and resources. PDF-XChange Viewer: screenshot of minimizing tool and stamps palette.